A hilarious night of comedy bridging continents, customs and cultures. The World seems to be shrinking each day. Yet, even as that happens, the dividing lines between peoples, countries and cultures, seem as stark as ever. How do we overcome those obstacles and bridge those gaps? 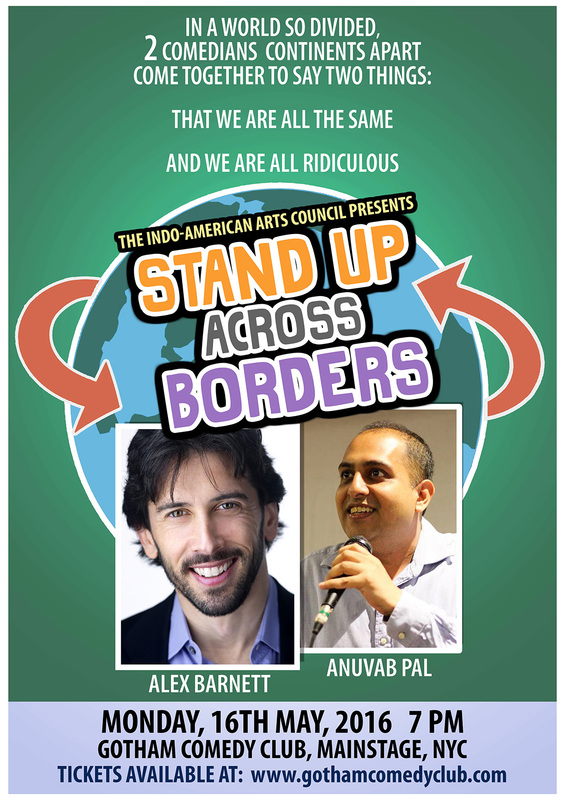 Anuvab Pal, whose stand up comedy special, The Nation Wants To Know, has been performed more than 500 times to sold-out crowds around the globe, from Mumbai to Sydney to San Francisco. His current show Empire, a stand up special based on the history of the British Empire in India, has played in 35 cities worldwide and been called “Spectacular” by CNN and “A laugh riot with brilliant ideas” by NDTV. He is the screenwriter of the movies The Loins Of Punjab Presents and The President Is Coming, which are, to date, the highest grossing Indian comedies in the United States and the only ones to be picked up by Netflix and iTunes. 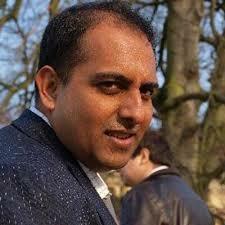 He writes a weekly humor column for The Economic Times and Times Of India, and his work has been featured by New Yorker, Vogue, Elle, Time, New York Times, The Guardian, The BBC, and NPR. Alex Barnett, the host of the podcast, Multiracial Family Man, which features interviews with notable figures in the multiracial community regarding issues of concern to multiracial people and people within multiracial families. Alex, a White Jewish man married to a Black woman who converted to Judaism and father to a 4-year-old biracial son, has been seen on the Katie Couric Show, been featured on Sirius/XM Radio’s “Raw Dog Comedy,” and on NBC’s EVB Live. He’s also appeared in VH1.com, The Wall Street Journal, The Huffington Post, and CNN.com. In addition, Alex is the co-founder of The Diversity Show a monthly comedy show at Gotham Comedy Club featuring comics from all walks of life that brings people together “one joke at a time.” Alex wrote a series of columns for The New York Daily News about comedy and career, and he has been a regular contributor to The Comic Bible.